Edward T. Pollack Fine Arts Portland, Maine 617-610-7173 ed@edpollackfinearts.com www.edpollackfinearts.com Barnet, Will. WOMAN READING. Szoke 139, Cole 137. 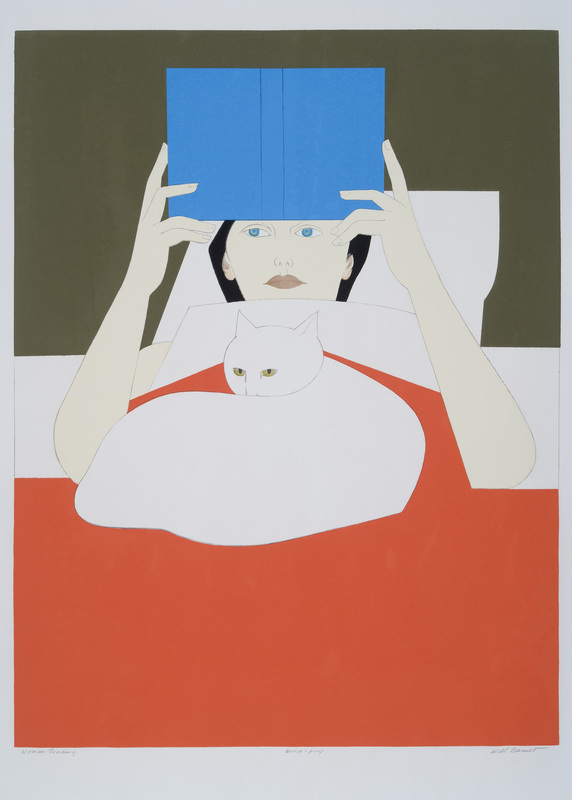 Serigraph in colors, 1970. Edition of 300 plus artist's proofs. Signed, titled, and numbered 161/300 in pencil. Printed by Fine Creations, Inc., and published by Poster Originals. 35 3/4 x 27 1/4 inches, 910 x 693 mm.